If there’s some flooding in a far flung archipelago, the do-gooders in the left-wing quangos are out of the blocks quicker than you can say “Show me the money!” with the Disaster Emergency Committee buying up air-time on the beeb and commercial channels and the Ministry of Defence dispatching a frigate to help the desperate people. If the same thing happens back in Blighty, the Government doesn’t lift a finger for weeks, and when the water is almost at the gates of Downing Street there is hardly a flurry of action, relying instead on local people to co-ordinate the actions their tax pounds have already paid for. This reality was brought into stark focus this morning when Defence Secretary (sans army) headed to the Thames Valley to show he “understands the concerns” of ordinary Britons whose houses and local streets are under water. Watch below Philip Hammond being berated live on Sky News by a local resident when Mr Hammond tells her he has 1600 troops on “stand-by”. She goes through the list of civic authority actions the council isn’t doing, the Environment Agency isn’t doing, the Police aren’t doing – and, therefore, the lady and her neighbours have had to take on themselves, including directing the traffic. What on earth is going on? It’s as if Government has collapsed. We clearly have the resources, if they are not helping flood victims in the Far East. 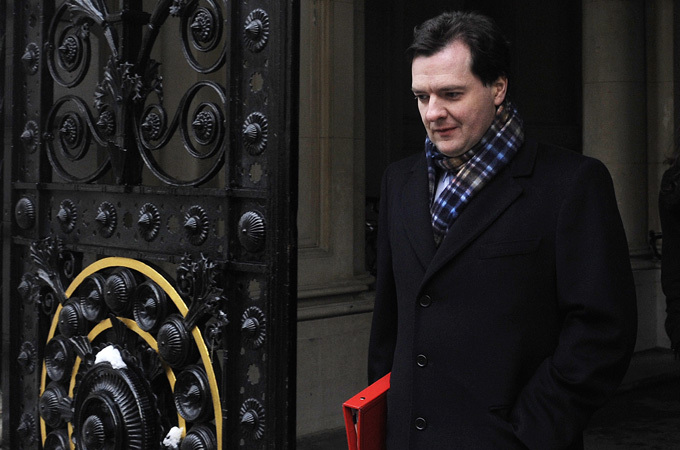 Do we, the ordinary public, need to push the politicians out of the way and commandeer them ourselves? 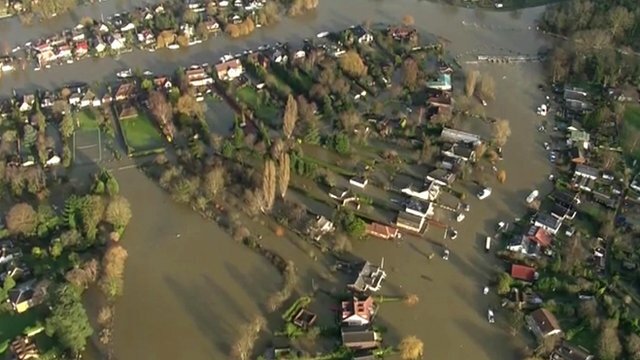 Great Britain is the sixth richest country on Earth but we can’t even manage to build a complete wall of sandbags. Categories: Politics | Tags: 2014, Defence Secretary, Government, Great Britain, Ministry of Defence, Philip Hammond, River Thames, UK, UK Floods | Permalink. Firstly, apologies for the recent drought in posts. 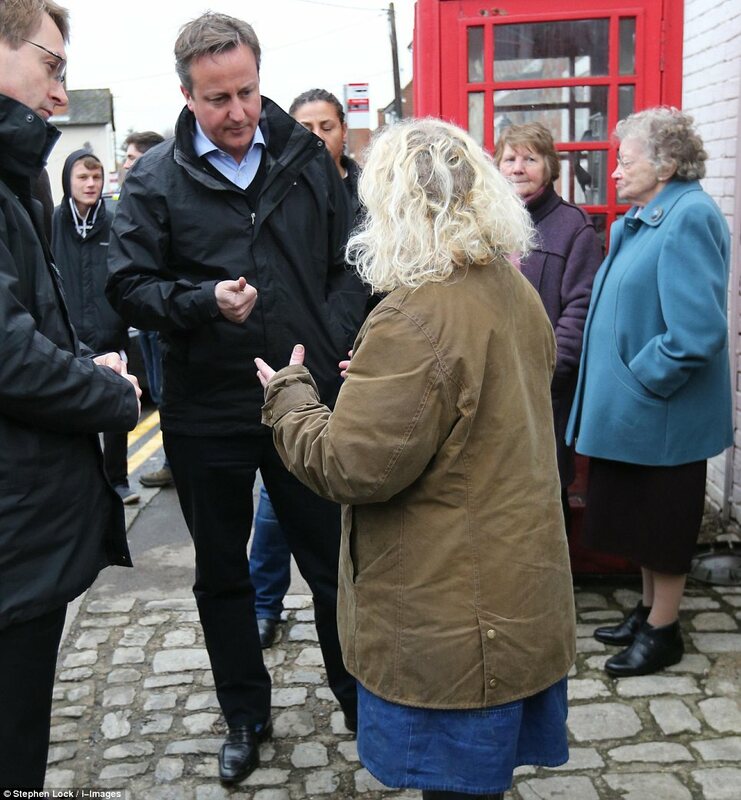 David Cameron today, most likely prompted by his Aussie political strategist Lynton Crosby, announced today tougher controls over access to our welfare system by Romanians and Bulgarians (and anyone else wanting to emigrate to Great Britain). At the end of this year, the transitional controls which have prevented free movement by Romanians and Bulgarians through the EU since their accession in 2007 will come to an end. From 1st January 2014, it will be legal for any Romanian or Bulgarian to come to the UK, whether they have a job or not. 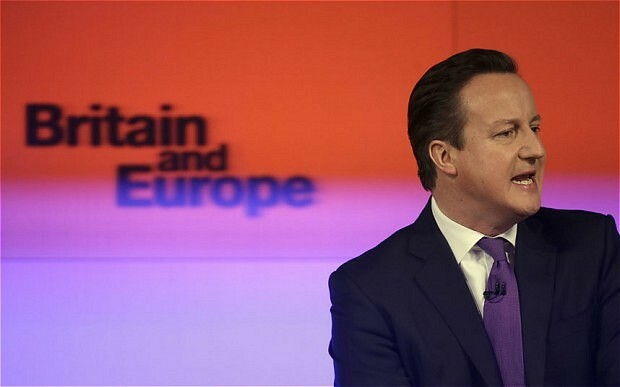 This sparked an angry response from EU Employment Commissioner Laszlo Andor who told the Today programme – the BBC’s flagship breakfast news radio programme – Mr Cameron risked “presenting the UK as a kind of nasty country in the European Union”. Cue cries of joy in Downing Street: the EU had just very helpfully boosted the Conservative Party’s message that it is getting tough on EU dominance over our sovereignty. And this is where it all falls apart. The problem is, because of his stupid policies on gay marriage, a softly-softly approach to welfare reform which still allows people to take home £26,000 tax free in benefits, and no action on immigration, Dave won’t be in a position to offer an EU referendum, as he will lose the General Election. Categories: Politics | Tags: Bulgaria, Conservative Party, David Cameron, EU, free movement, Great Britain, Laszlo Andor, Lynton Crosby, Romania, UK | Permalink. MPs cheered last night when the Government was defeated in the House of Commons. What have we become when the cockpit of our nation brays from the green benches as children are gassed and burned in Syria by a brutal dictator who has no respect for international norms or decency? As Ipswich MP Ben Gummer said yesterday in the House, Hitler had not even used chemical weapons in the second world. The implication is Assad is worse than Hitler and Great Britain says it’s got nothing to do with us. I am depressed and angry by the behaviour of the 285 MPs who voted against what was a watered down motion approving military action to stop the agonising deaths of children in Syria’s cities, which explicitly said would not take place immediately leaving the UN inspectors to complete their work and for the UN security council to debate the grave situation again. The long dark shadow of Iraq has made our parliamentarians impotent. In one fell swoop, they have diminished our standing in the world, they have damaged the special relationship with the United States – a partnership which adds great value to upholding international law and has saved the globe from great evil three times in the last century. Chemical weapons have been banned by the Geneva Convention for nearly ninety years. Even Saddam Hussein used them only once. Assad has used them 14 times in the last year. Whilst the glorified social workers which now seem to make up the majority of the UK parliament acted like armchair Generals, Assad seemed so convinced the West would do nothing he yesterday dropped an incendiary bomb with what seemed to contain napalm on a school playground burning children, men and women to death. But the so called “will of the people” in Britain decided that’s quite ok. Parliamentary democracy is the least worst system there is as Winston Churchill once said but it is not a panacea. If politicians never led and just followed, we’d have public hanging brought back to entertain the masses. David Cameron made a literally fatal political calculation – haunted by Iraq – by taking his call for action against Assad into a mess of a parliament full of feuding factions in all parties with a Coalition of Conservatives and Liberal Democrats at its helm. A sixth-form politics student could see how this would end up. And the irony is the Prime Minister didn’t legally need to seek a vote in the House of Commons. He has the power under Royal Prerogative to initiate military action to protect Britain’s interests, let alone to stop the slaughter of infants in their beds. But he chose to blink and humiliated Britain on the world stage as a result. As former Liberal Democrat leader and soldier Lord Ashdown said this morning: “What is the point of having armed forces?” During the twentieth century, Britain stood tall, punched way above its weight against tyranny and the defence of freedom. After tonight’s vote, I feel we have become a different country, one that reflects our geographical size rather than the great influence we once had on the world stage. We can no longer use our extensive military force within the international system to protect crimes against humanity. Instead of looking out to the world which I keenly advocate (one of the reasons why we should pull out of the EU, which has shown itself to be completely toothless on Syria) we have become an isolationist. This has a serious geopolitical impact. We have become as bad as Russia and China have behaved during the last two years of the Syria civil war. One politician from last night who deserves our greatest wrath is not David Cameron but Labour leader Ed Miliband. He chose to score political points at the expense of children being wracked by nerve agents in their homes. Miliband is a political opportunist of the worst kind and I hope to God this pygmy never becomes Prime Minister. The current Prime Minister is not much better when it comes to making the right political choices. He has spent the last eight years as leader of the Tory Party distancing himself from his backbenchers and grass root activists, which has implicitly given approval to his former Eton chums to abuse ordinary Conservative Party members. Is it therefore any wonder he can’t rely on his Party’s support when the going gets tough? His backbenchers don’t trust him, never mind follow his lead. The whips are so frightened of the Tory rebels they obviously had no idea the Government was about to be defeated. It’s a dog’s breakfast which isn’t going to get any better as we head towards the 2015 General Election and the disintegration of the Coalition shortly beforehand. I don’t feel the need to call for David Cameron’s resignation as some readers might expect as there is no alternative. The Prime Minister’s resignation would lead to a General Election and the likely result would be a Labour-Liberal Democrat Coalition. Then we really would be finished. Categories: Politics, Uncategorized | Tags: Assad, Ben Gummer, David Cameron, Ed Miliband, Great Britain, House of Commons, pygmies, Syria, UK, United States | Permalink. It might be the difference between styles of Government but who is leading the West to War: David Cameron or Barack Obama? The UK seems to be doing the running when it comes to putting all the legal ducks in a row before launching the Tomahawks at Damascus from underneath and on the Mediterranean Sea. It does demonstrate – despite swingeing Defence cuts – Great Britain still punches above its weight when it comes to military affairs. Of course, there is no doubt the UK could not commit to an attack on Syria without US backing for both military and political reasons but still it will be Great Britain blowing up millions of pounds on Assad’s Command and Control bases along with the US arsenal. French President Francois Hollande is jumping up and down a lot but is he planning on adding to the firepower? On the issue of legal and political cover, if the debacle over the lies told by Bliar’s Government over the existence of WMD in Iraq had never happened ten years ago, the US (yes, even under Obama) and the UK would have already have intervened to stop Assad killing his own people and may have introduced a no-fly zone for good measure. Because, let’s be frank, enough innocent people have died already in Syria – the images of children crying in pain after being gassed in the middle of night and finding their parents and siblings dead in their beds is – without doubt – against international law. Have a read of the Geneva Protocol – it’s been wrong, funnily enough, to gas your own people for nearly ninety years. 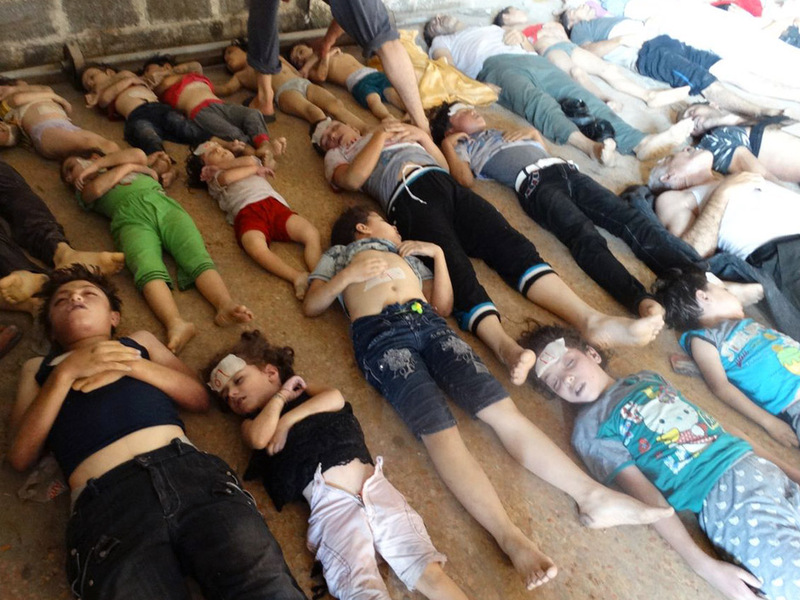 Mad dog dictators who deploy chemical weapons on civilian populations need to be punished. International law allows this (see Geneva Protocol (again) and the 1993 Chemical Weapons Convention). Now, when we are talking about Heads of State who are enacting barbaric acts on fellow human beings on a massive scale, we don’t just say “tut tut, don’t do that again” or go and arrest the guy (although that may be how Assad ends up). Civilised countries with sufficient military and political clout have a duty to punish and disable these Heads of State. That means hurting his military power and means of inflicting heinous acts on noncombatants: Command and Control centres, airfields, fuel dumps etc. Tomorrow there will be a vote in the House of Commons, in all likelihood to seek approval for a military strike on Syria. MPs need to show leadership. This is difficult for them to do, especially for the 2010 intake whom many seem to have come into politics to act as glorified social workers rather than statesmen and women. The Labour Party will no doubt take any political opportunity that comes their way tomorrow – considering the mess they made over Iraq, which indirectly allowed Assad to gas his own people not once but three times in the last few months, nothing would surprise me. It might be fun for David Cameron to lose his vote but it would be quite appalling to put domestic politics before the lives of Syrian children tomorrow. Enough is enough. It’s time to put Assad back in his box. 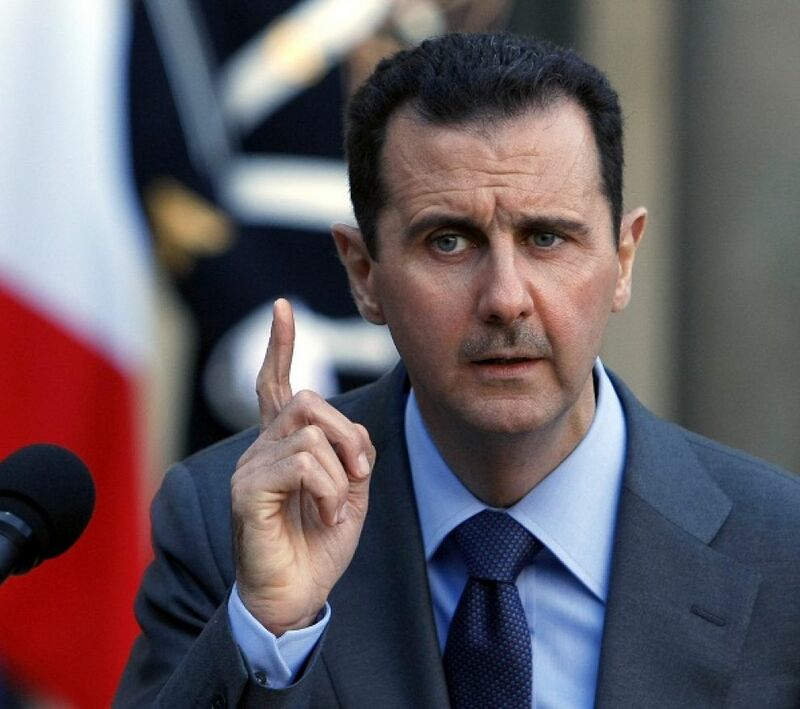 Categories: Politics | Tags: Bashar al-Assad, Cameron, chemical weapons, Chemical Weapons Convention, Geneva Convention, Great Britain, Labour, Obama, Syria, UK, US | Permalink.